On September 8, 2017, I reported on an August 30, 2017, decision issued by Chief U.S. District Judge Orlando L. Garcia of the United States District Court for the Western District of Texas, San Antonio Division, in City of El Cenizo v. State of Texas. In that order, Judge Garcia considered motions filed by a number of localities in Texas seeking preliminary injunctions of Texas Senate Bill 4 (SB4), which attempts to place limits on sanctuary jurisdictions. The subheadline on my September 8, 2017, piece stated: "Appeal of District Court Decision in SB4 Case Likely". I was not exactly going out on a limb in making this statement, given the high-profile nature of SB4 and in fact, the State of Texas and Texas state Attorney General Ken Paxton did appeal that decision to the circuit court, seeking a stay of Judge Garcia's injunctions. On Monday, September 25, 2017, a three-judge panel of the United States Court of Appeals for the Fifth Circuit issued a decision granting that request for a stay, in part. The parts of the injunction that were stayed were the most important, from a law-enforcement position, however. [P]rohibits "sanctuary city" policies, which prohibit local law enforcement from inquiring about a person's immigration status and complying with detainer requests. These policies also often prohibit the sharing of information regarding a person's immigration status with the federal government. Opponents of such policies argue that the state should pass legislation that prohibits cities and other government entities from the creation and enforcement of policies and ordinances that prohibit or impede the enforcement of state and federal immigration law. S.B. 4 amends current law relating to the enforcement by campus police departments and certain local governmental entities of state and federal laws governing immigration and to related duties and liability of certain persons in the criminal justice system; provides a civil penalty; and creates a criminal offense. Texas Governor Greg Abbot signed SB4 into law on May 7, 2017. The requirement that law enforcement agencies "comply with, honor, and fulfill" any immigration detainer request issued by United States Immigration and Customs Enforcement, Tex. Code Crim. Proc. Art. 2.251(a)(1), and any action (including but not: limited to corrective, disciplinary, retaliatory, or punitive action) under Tex. Gov't Code § 752.055, 752.056, and 752.0565; Tex. Loc. Gov't Code § 87.03 1(c); and Tex. Penal Code § 39.07 arising therefrom. SB 4 had added a new subchapter to section 752 of the Texas Government Code that contained the first four provisions above. Section 752.053(a)(1), as amended, prohibits "[a] local entity or campus police department" from "adopt[ing], enforce[ing], or endors[ing] a policy under which the entity or department prohibits or materially limits the enforcement of immigration laws." Section 752.053(a)(2) similarly prohibits local entities and campus police departments from "as demonstrated by pattern or practice" from prohibit[ing] or materially limit[ing] the enforcement of immigration laws." Judge Garcia held that the plaintiffs were "likely to succeed" on their constitutional challenges that the "endorsement" provision in section 752.053(a)(1) was unconstitutionally overbroad, vague, and constituted "viewpoint discrimination" because of the effect that it would have on the First Amendment free speech rights of government officials, a holding largely premised on the fact that SB 4 "prohibits endorsement of a policy, but does not define 'endorse.'" [H]ave acknowledged that the term, "endorse," may be too broad and have therefore proposed qualifying interpretations and even recommended we enjoin only that word to rescue the rest. We accept that recommendation pending merits assessment and thus, here, too, we leave the injunction in place as to the operation of the word, "endorse." This decision leaves the remainder of section 752.053(a)(1), prohibiting the adoption or enforcement of such policies that prohibit the enforcement of the immigration laws in effect. With respect to these findings, the circuit court held that the state, governor, and attorney general "have acknowledged that the reach of the word 'limit' could be too expansive and have offered qualifying interpretations," and "conclude[d] that such interpretations are best left for the time when this court's ruling would have more finality," a "time is to be set by the merits panel." For that reason, it denied a stay of the district court's third and fourth injunctions. (2) inform the person that the person is being held pursuant to an immigration detainer request issued by [ICE]. The updated detainer form and warrant requirement reflect policy changes described in former DHS Secretary John Kelly's February 20, 2017, Memorandum on "Enforcement of the Immigration Laws to Serve the National Interest" and ICE Policy No. 10074.2, regarding "Issuance of Immigration Detainers by ICE Immigration Officers." As required by the updated ICE policy, the Form I-247A and accompanying administrative warrant include a description of the basis for ICE's determination of probable cause of removability, and requests that the receiving entity (1) notify DHS as early as practicable before the suspected removable immigrant is scheduled to be released from criminal custody; and (2) maintain custody of the subject for up to 48 hours beyond the time he would otherwise have been released so that DHS can assume custody of him. Most significantly, the district court held that the plaintiff localities were likely to succeed in their claims that "provisions of SB 4 that require local entities to fulfill all ICE detainer requests ... facially violate the Fourth Amendment." In his decision, Judge Garcia concluded that an ICE warrant is insufficient to provide local officials with probable cause to honor ICE detainers, that local officials lack the authority "to arrest and detain for civil immigration violations", and that SB4 deprives local officials "of making an independent, particularized assessment of whether probable cause of a crime exists to support ... seizure in every case in which it applies." [U]nder Article 2.251(b) law enforcement agencies need not comply with or fulfill a detainer request when a detainee "provide[s] proof" of lawful immigration status. Article 2.251(b) does not limit the permissible proof to the government identification listed as examples in the statute, as acknowledged by defendants before us at oral argument. Further, the "comply with, honor, and fulfill" requirement does not require detention pursuant to every ICE detainer request; rather, the "comply with, honor, and fulfill" provision mandates that local agencies cooperate according to existing ICE detainer practice and law. This indicates that the Fifth Circuit does not share the district court's Fourth Amendment concerns as they relate to ICE detainers. Similarly, the Fifth Circuit made short work of Judge Garcia's injunction of the enforcement provision in new Tex. Gov't Code section 752.053(b)(3). That new provision prohibits "a local entity or campus police department" from "prohibit[ing] or materially limit[ing] a person who is a commissioned peace officer" as defined by state law, "a corrections officer, a booking clerk, a magistrate, or a district attorney, criminal district attorney, or other prosecuting attorney" who works for that entity or department from "assisting or cooperating with a federal immigration officer as reasonable or necessary, including providing enforcement assistance." [M]erit in Plaintiffs' argument that States should not be able to exempt themselves from the exacting requirements of [section 287(g) of the INA] by creating State regulation that circumvents such requirements. The Court further [found], after examining the federal statute as a whole and identifying its purpose and intended effects, that Plaintiffs have shown a likelihood that the federal interest in the field of immigration enforcement is so dominant that it may preclude enforcement of state laws on this subject and Tex. Gov't Code § 752.053(b)(3) is likely to be field preempted. Section 287(g) of the INA "allows a state or local law enforcement entity to enter into a partnership with ICE, under a joint Memorandum of Agreement (MOA), in order to receive delegated authority for immigration enforcement within their jurisdictions." Significantly, however, paragraph 10 of that subsection does not require such an agreement in order for "any officer or employee of a State or political subdivision of a State ... to cooperate with the Attorney General in the identification, apprehension, detention, or removal of aliens not lawfully present in the United States." Moreover, as I noted in my earlier piece, "Arizona is inapposite" to Texas' actions under SB 4 "because there the state created a 'state-law penalty for conduct proscribed by federal [immigration] law' contrary to the wishes of the federal government, which sued to enjoin that law. Here, on the other hand, Texas is mandating compliance with federal commands." While the circuit court did not lift the injunction as to the (as noted) problematic phrase "materially limits" in section 752.053(b)(3), it otherwise stayed the district court's injunction as it relates to that provision. Specifically, focusing on the phrase "assisting or cooperating with a federal immigration officer as reasonable or necessary, including providing enforcement assistance" therein, the circuit court concluded that "nothing in Arizona v. United States ... prohibits such assistance," and "that the statute on which the district court relied, [section 287(g) of the INA], provides for such assistance." This latter conclusion is plainly based on section 287(g)(10) of the INA. 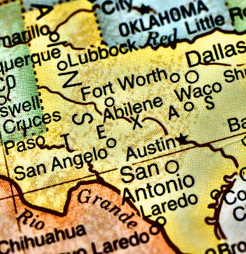 In short, but for some minor, poorly drafted language, as Hans von Spakovsky has noted, "the most important provisions of the Texas statute that are intended to stop sanctuary policies from being implemented locally are still in force, and will remain in force until the 5th Circuit issues a decision on the merits." Finally, it should be noted that this was not a partisan decision, unlike like several that I have written about in the recent past. Two of the judges on the per curiam decision were appointed by Democratic presidents (Clinton and Obama, respectively), and one by a Republican president (George W. Bush).